Why Does Walmart Hate Bananas? I never buy bananas at Walmart. Almost never, anyway. Sometimes I forget, and I buy bananas at Walmart. I did that earlier this week. The bananas looked so happy and bananish sitting there on the display. So I bought some, and the next morning when I peeled one to add to my Grape Nuts, I remembered why I never buy bananas at Walmart. How is it that Kroger (and other grocery stores) can sell bananas that are unbruised, and not terminally mushy, but Walmart seemingly can’t? Is there a Banana Reference Manual somewhere that Walmart never saw? What do they do to the bananas before setting them out for sale? Are they used as packing materials for televisions or something? Of the four I bought, two were so bruised and mushy that I just threw them away, one was about half-salvageable; the other sits waiting for tomorrow morning, when I have no doubt I’ll discover it will look like Mike Tyson used it for a sparring partner. In the old days, when Mike had a punch and an attitude. The amazing thing is, this happens almost every time I buy bananas at Walmart, and yet, every few months, I’ll be at Walmart, need bananas, and think “surely they’ve improved”. Nope. Walmart – Banana Muggers. Somewhere there are banana mothers telling their banana babies that they’d better be good or they’ll be sent to Walmart. Which is why I never buy bananas at Walmart. Almost never. 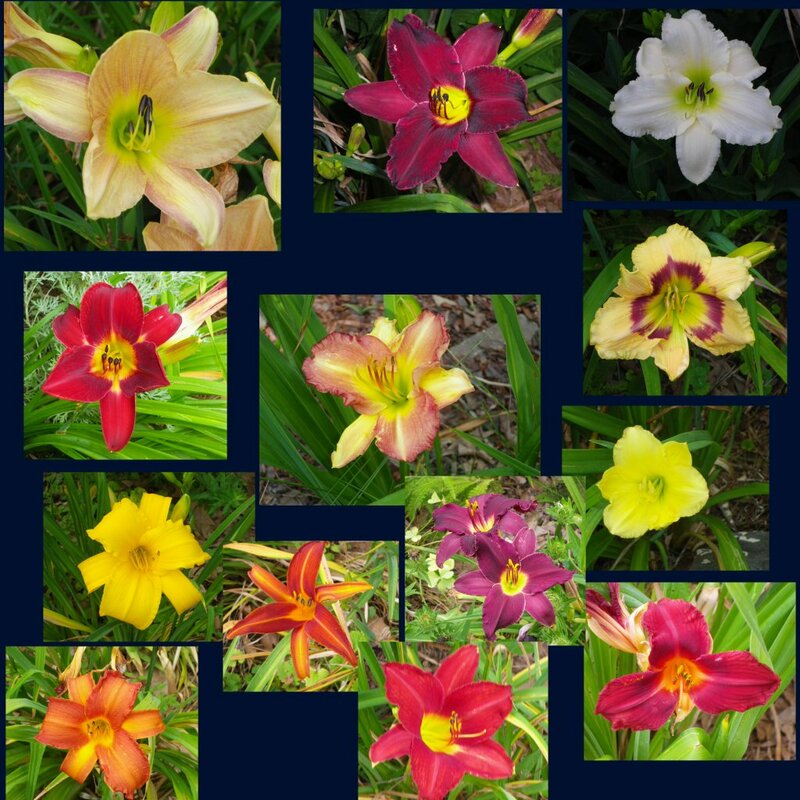 Daylilies blooming in my garden this morning.